If you have noticed several cracks in your home, there are chances of a serious problem with the foundation. In such a situation, underpinning may be required to restore its strength. As underpinning is costly, homeowners consider it as the last resort for repairing the foundation. It is expensive because of the risk involved. 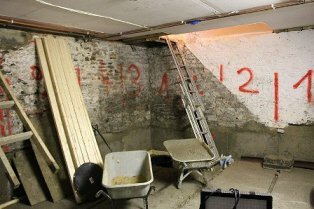 If you are thinking of foundation underpinning, get a clear idea of the cost. When it comes to underpinning foundation in Toronto, Pour Concrete is the perfect choice of every homeowner. Call on 647-847-4009 or inquire online to get in touch with GTA’s licensed basement lowering contractor.